These white cake boxes are ideal for transporting decorated cakes and treats. 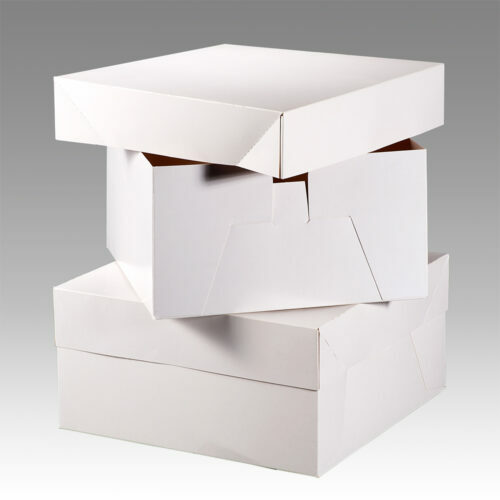 These white cake boxes provide great protection for your celebration and occasions cakes. They provide a luxury feel to the presentation of your cakes. Our prices are competitive and usually close, if not the same, as other retailers. They have a separate lid. The box and lid both come flat packed to minimise storage space and they’re very quick and easy to assemble. 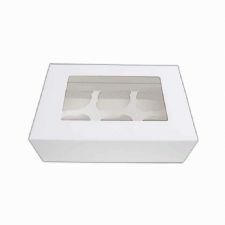 We also supply white extenders to match the boxes and to help you transport your tall or multi-tiered cakes in safety.